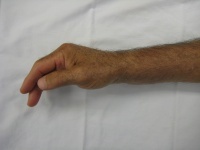 Flexor synovitis occasionally is due to fungal or mycobacterial infection, producing a granulomatous reaction. 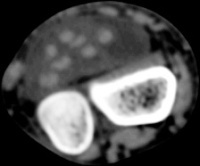 These present as a slowly progressive process, worsening over months. There may be a history of a finger puncture injury preceeding symptoms. 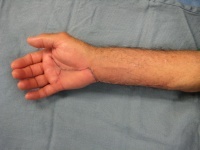 There is typically less local tenderness than would be expected for the degree of swelling, stiffness and pain. Local steroid injections are ineffective and may be followed by rapid clinical worsening. 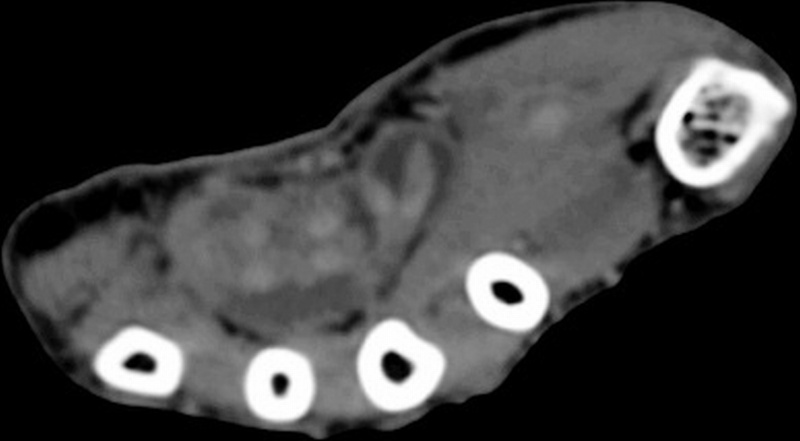 Cure requires thorough synovectomy and culture directed antibiotic treatment. 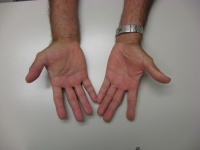 This man presented with a one year history of progressively worsening right hand pain, swelling and loss of flexion. Symptoms began one month after a right ring finger puncture wound in a marine setting. 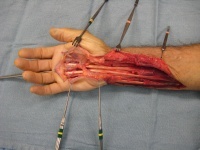 He had been given a trigger finger steroid injection months earlier with no relief. The right palm and forearm were full, but not tender. Fingtips could only be brought to within 2" of the distal palmar crease. 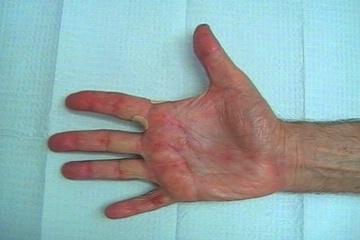 No fever, no lymphadenopathy. 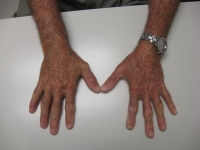 Rheumatologic tests including sedimentation rate were normal. 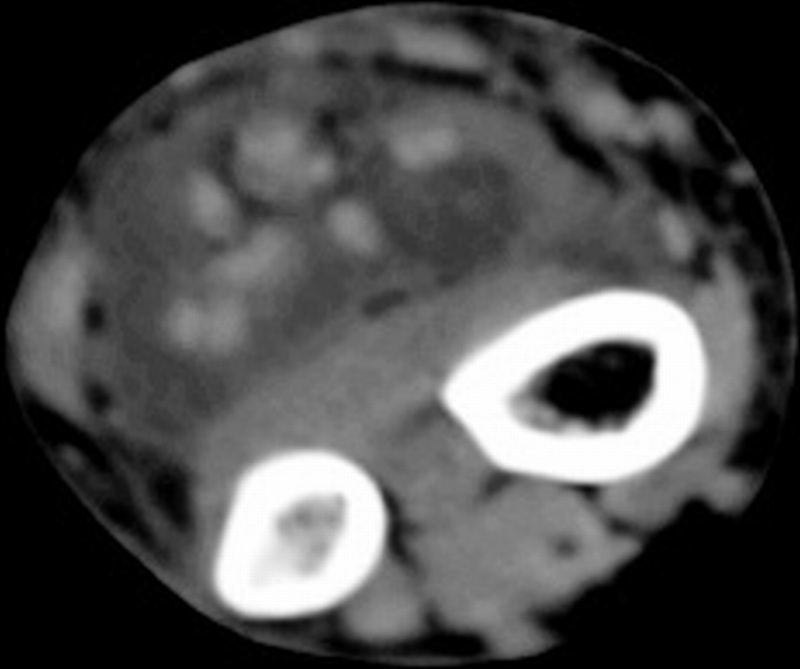 The radiologist interpreted his MRI as normal, but these views show bulky, edematous flexor synovitis. 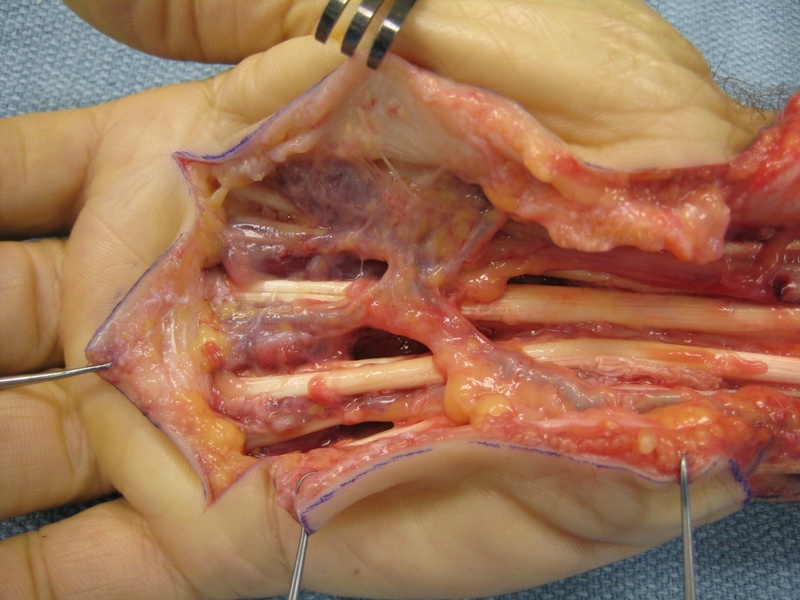 A radical flexor tenosynovectomy was performed for the presumed diagnosis of synovitis from atypical infection. 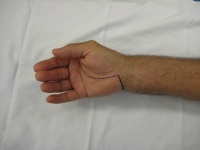 The initial extensile here is planned from the mid palm to the mid forearm. 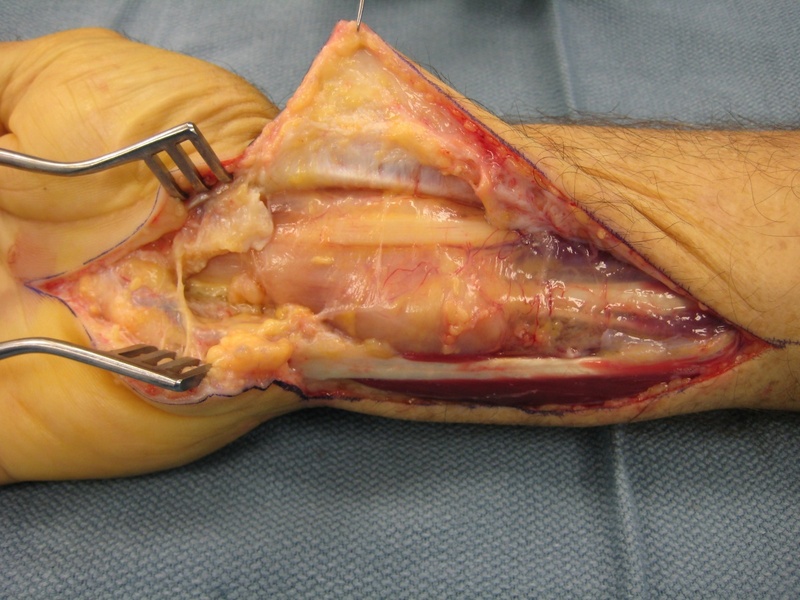 Bulky, edematous synovitis involved all flexor tendons. 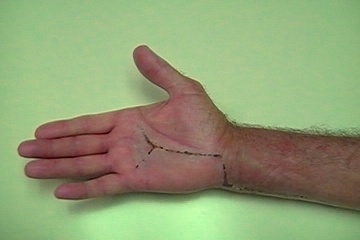 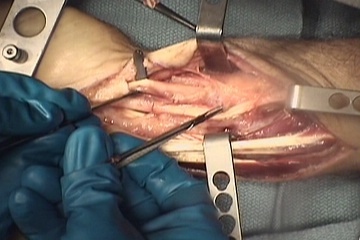 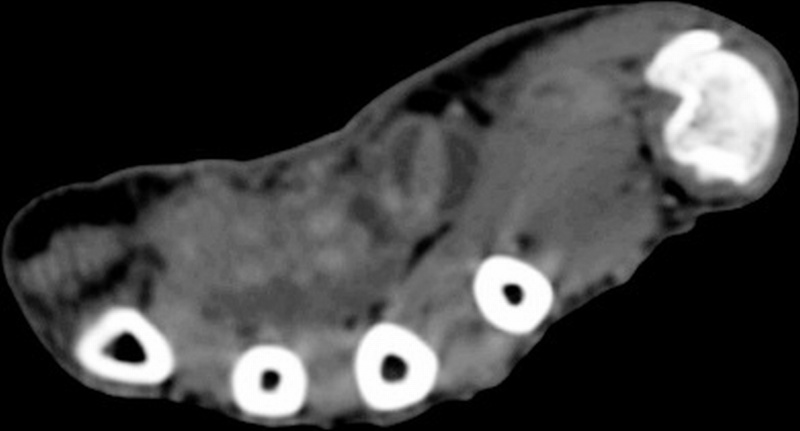 Palmar exposure was extended to include a distal "Y" shaped incision. 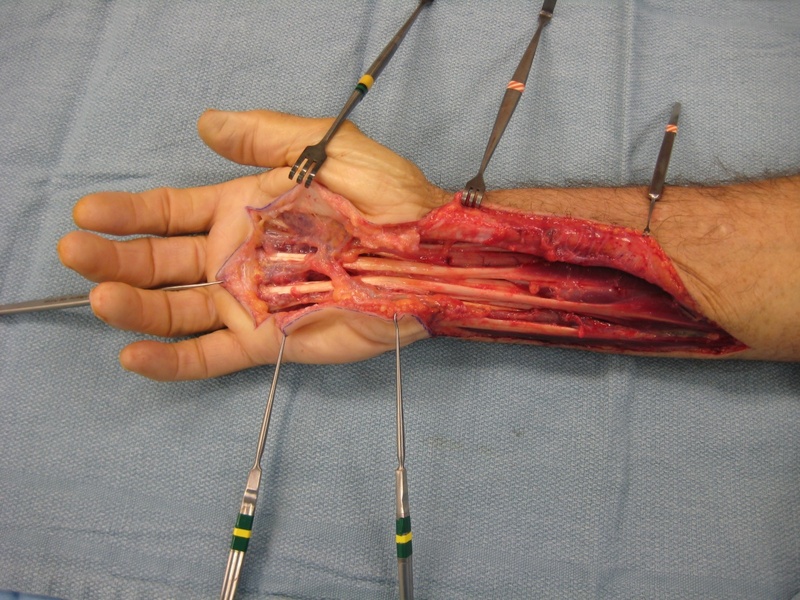 Here, the synovecomy is complete. 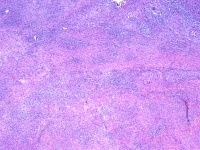 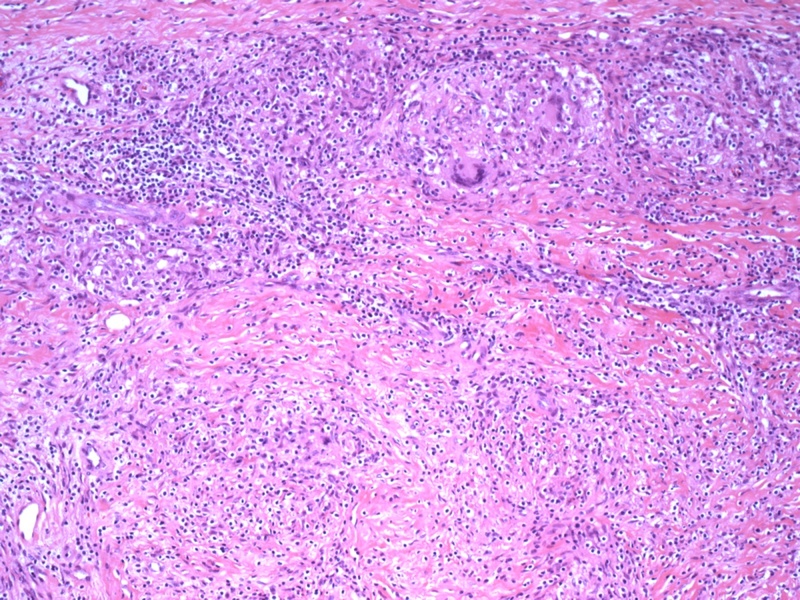 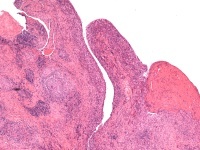 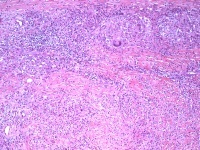 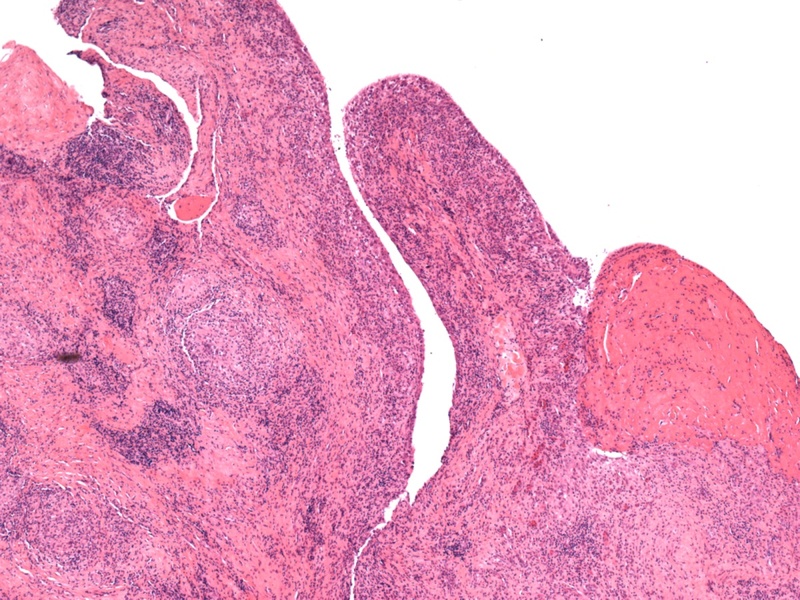 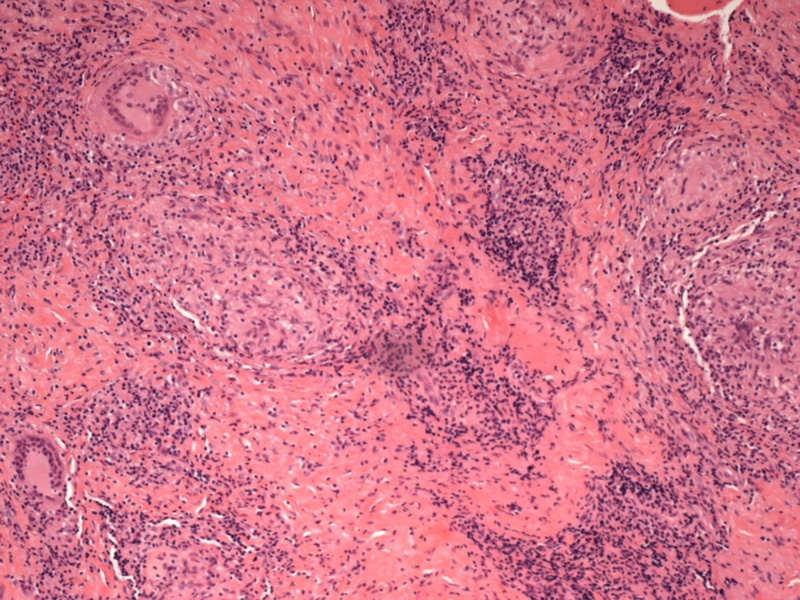 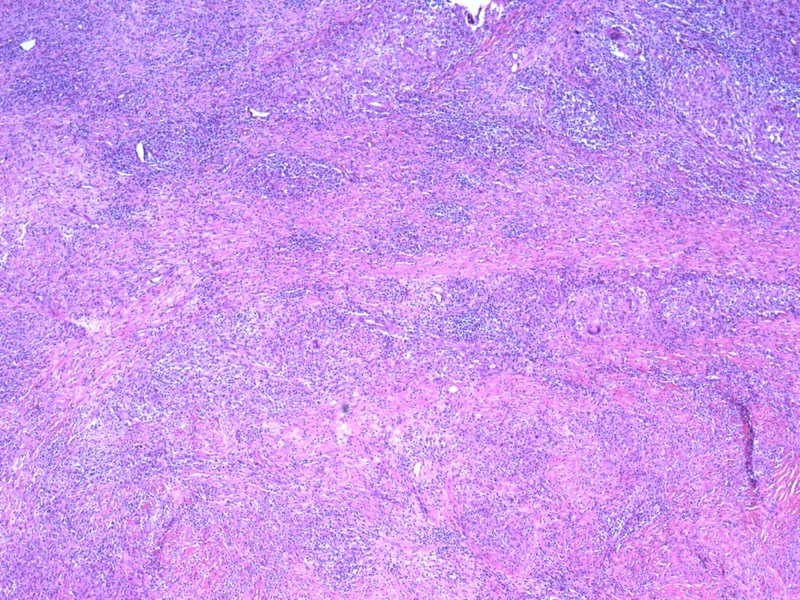 Histology confirmed granulomatous synovitis. 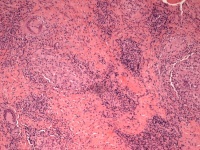 Unfortunately, no organisms were identified, even in long term culture for fungus and mycobacteria. 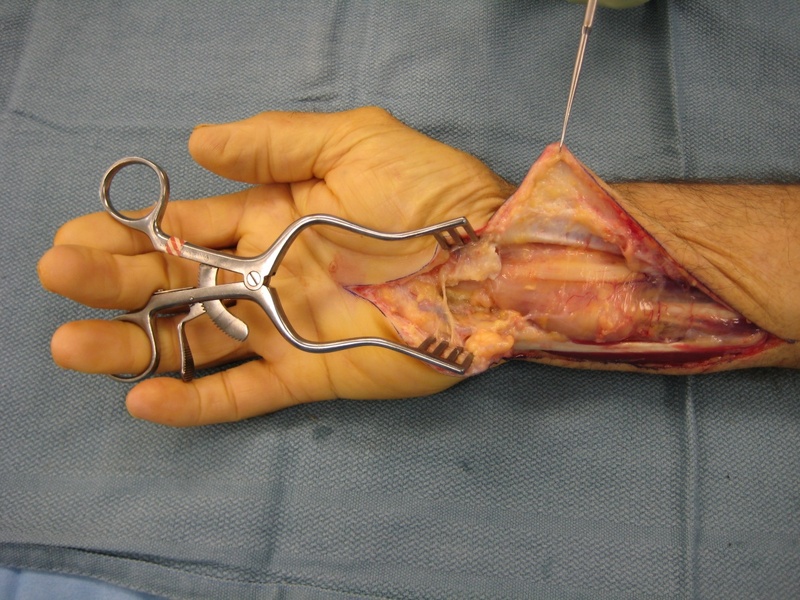 This confirms the need for complete synovectomy.